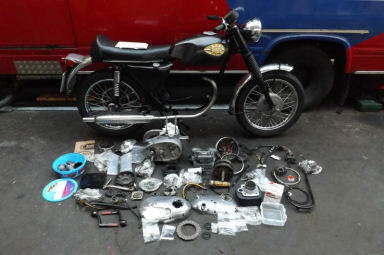 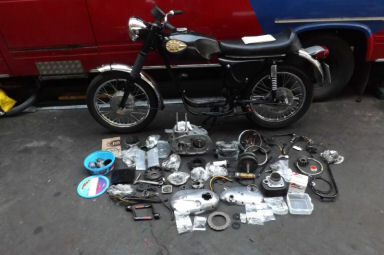 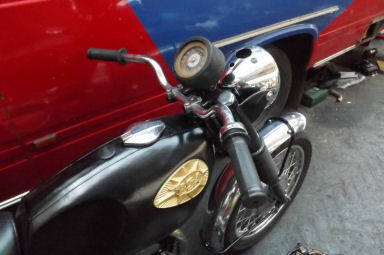 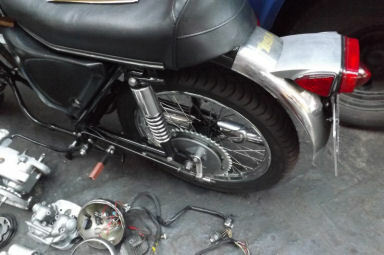 Unfinished restoration project, the bike was bought complete for restoration, it has matching engine and frame numbers, it has been stripped and then built back up, but not finished. 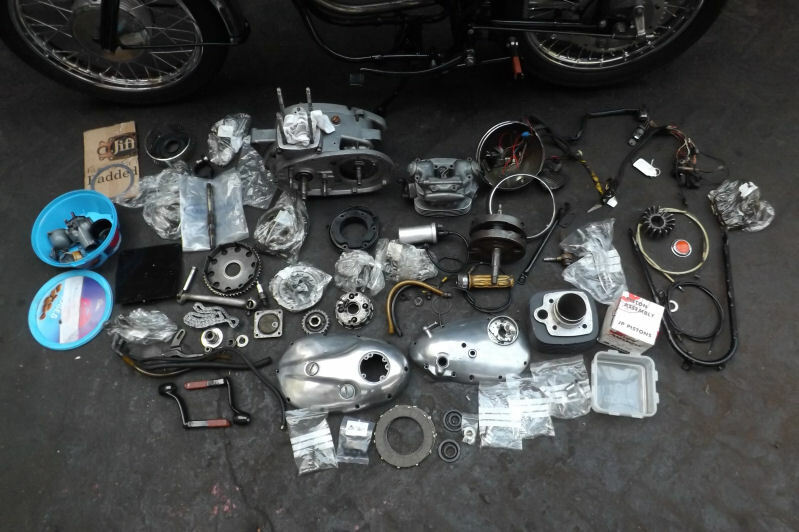 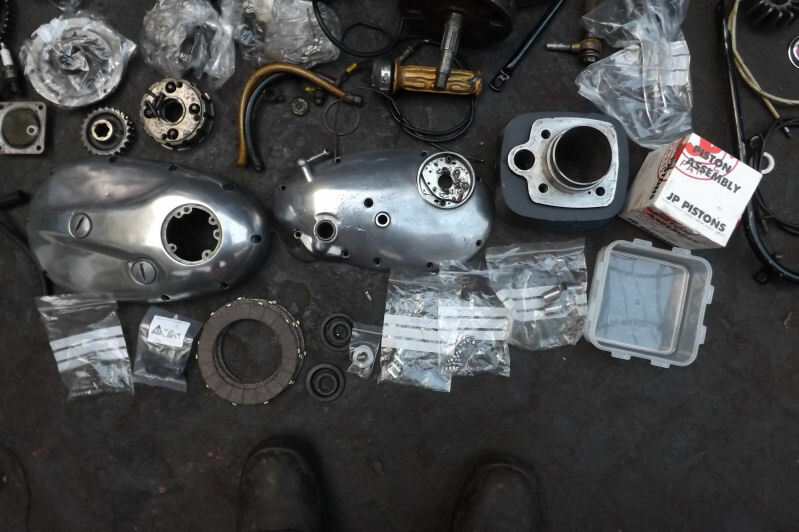 As you can see a lot of money has already been spent, there are some duplicate parts where things have been replaced, there are bags with new parts in, oilseals, gaskets, clutch plates, bearings, springs etc. 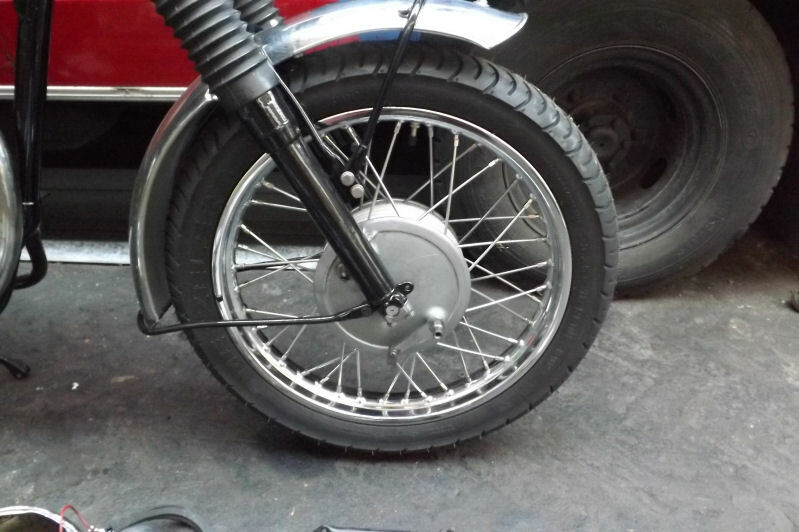 The frame and cycle parts have been stove enameled, the barrel has been rebored with a new JP piston, the wheels have been rebuilt with new chrome rims, stainless spokes and have brand new Metzeler tyres on. There is probably much more that I have missed, but I think that you can get the picture, a great project to finish off, comes with up to date V5C.